Acute knee pain is very common during sports, especially football, basketball, netball and alpine skiing. These activities involve a lot of twisting around the knee joint and sudden changes of direction. These movements will put additional stress on the knee joint if there is insufficient muscle strength to support the knee. Acute knee injuries can be disastrous for athletes as they can lead to disability, time off sport and recurrent injuries. 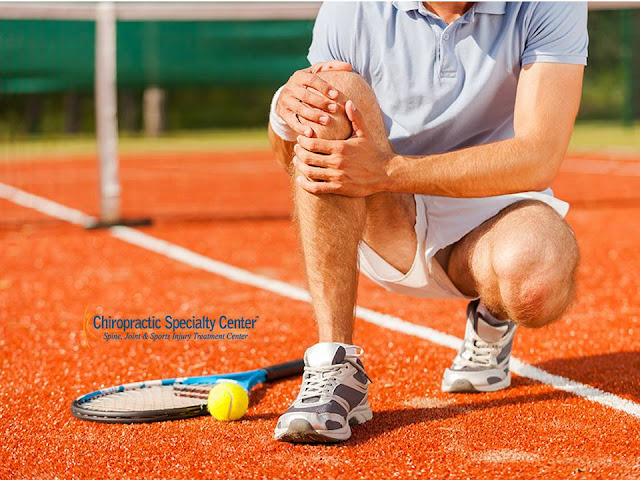 The knee actually involves two different joints that are located very closely to each other. The tibiofemoral joint consists of the thigh bone (femur) and the leg bone (tibia). This tibiofemoral joint is commonly referred as the knee joint. Medial and lateral collateral ligaments, anterior and posterior cruciate ligaments and the meniscus that is associated with the tibiofemoral joint are the major stabiliser of this joint. The patellofemoral joint consists of the knee cap (patellar) and the thigh bone (femur). The stability of the joint comes from the medial reticulum and the patellar tendon/ligament. approach for knee pain that involves ligamentous damage should also address the other associated structures.